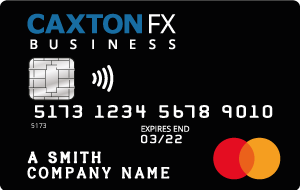 Using a Caxton Corporate Currency Card is as simple as using your debit card without the costs of using it abroad. A better way to manage business travel expenses and much more. Why use a Currency Card? Get competitive exchange rates for lower business expenses every time you go overseas. Reduce effort associated with processing expense claims. Eliminate point of sale usage charges and management fees when spending abroad. Have central oversight of all employee cards with easy access to load and view transaction histories. Cardholders can also attach and categorize images and notes of their expenses that will help to reduce errors. Employees travelling overseas to attend a conference or simply for business, Caxton is experienced in taking away the stress of managing employee travel expenses. Caxton FX have been helping simplify the management of travel expenses for organizations of all sizes, from businesses to independent schools and academies since 2002. A leading independent boys school was recommended Caxton Cards by a Bursar at an annual Independent Schools Bursars Conference. The school was seeking to reduce the expense reconciliation following overseas sports trips. The Caxton online account enabled card administrators to view the teachers' expenses in real time and download copies easily and securely. Journey Latin America is the UK’s number one specialist tour operator to Latin America. With tailor made holidays, journeys and packages throughout Central and South America, Journey Latin America found themselves with a constant requirement for US dollars for their tour leaders. Bo Lennartson, Finance Director, was previously relying on prepaid solutions for his employee’s travel expenses. Along with charges for international use, Bo found himself let down by a poor level of customer service, at which point he approached Caxton FX. Along with dedicated Account Managers to handle the day to day running of the account, Caxton FX also provides insight into currency markets, further providing guidance on any currency purchases required. “As opposed to constantly funding the currency cards whenever a tour leader required, Caxton FX suggested that hedging part of Journey Latin America’s travel expense requirement may be worthwhile, therefore reducing any risk of depreciation in the GBP/USD market when coming to load the cards." A leading wealth management company have been using the Caxton card programme for the past three years, enabling them to closely monitor their employees expenses in real time. The prepaid card also helps to eliminate employee overspend, giving their finance managers peace of mind. Although the below values are displayed in GBP, if your card is loaded in a different currency, your card will be charged in that currency. *PIN reminder is only available online on your account. Please note that the PIN displayed on your account is the PIN that was originally issued with the card. If you change your PIN at an ATM, your online account will still show the original PIN, not the new one. See terms and conditions for fees, charges and restrictions. Our team of currency experts are available to assist with your next International Payment. A monthly cash competition for UK small businesses, supported by Caxton.